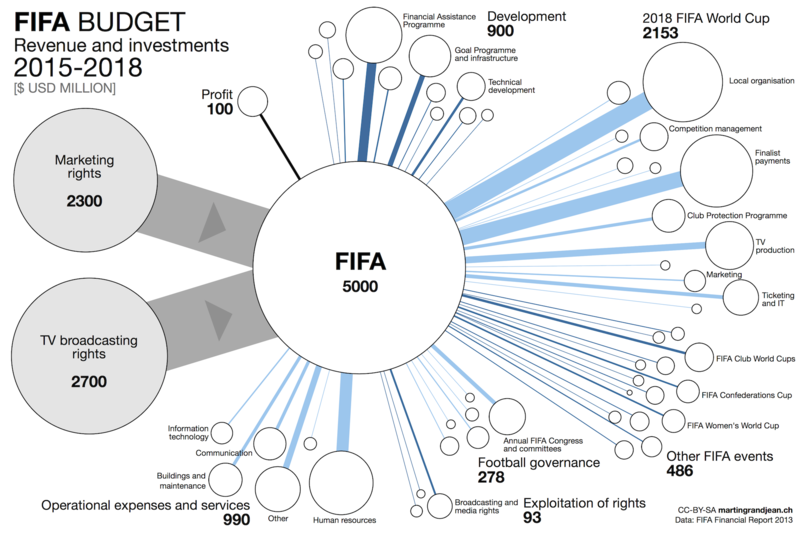 Share the post "[Data Visualization] The FIFA budget 2015-2018"
The four-year FIFA financial strategy is based on the World Cup, his main source of income. 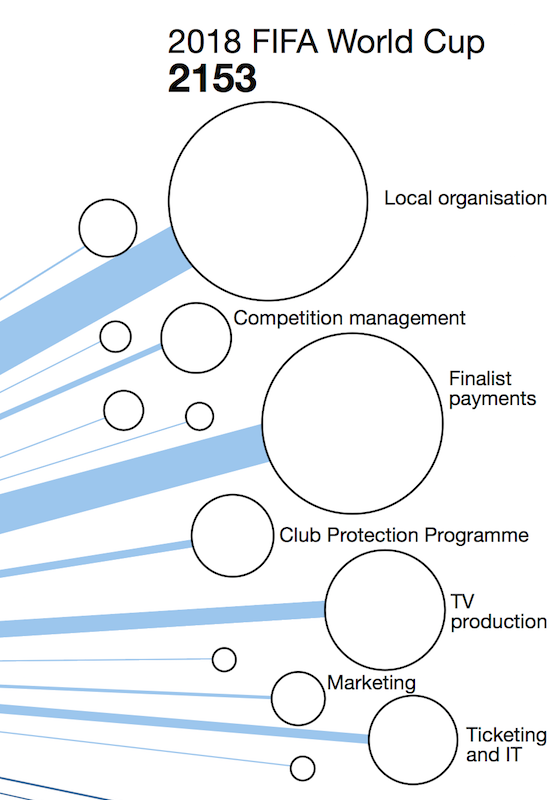 While the arrest of seven executives led FIFA in a new crisis, this graph provides a quick and overall state of the finances of the football federation. Full screen here. CC-BY-SA license – freely reusable with link to this post. The revenue include the marketing rights ($2.3 billion) and the TV broadcasting rights ($2.7 billion). 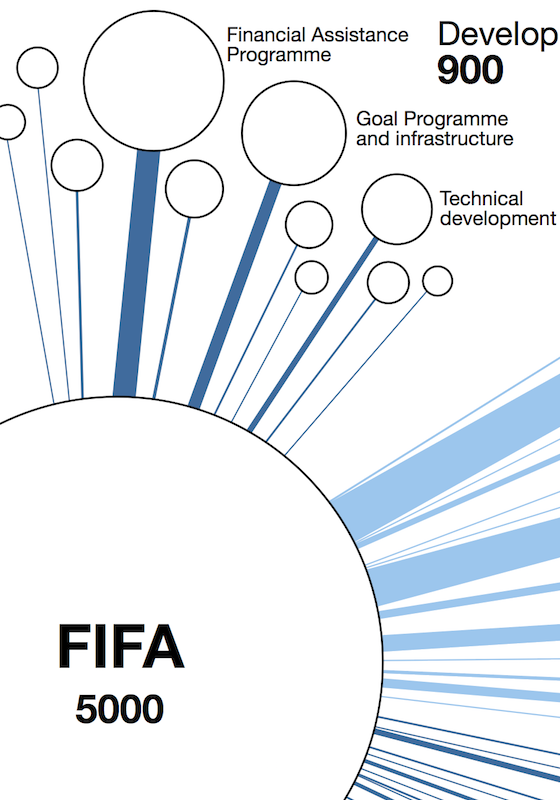 43.1% of the 2015-2018 investments concern the 2018 FIFA World Cup (9.7% for the other competitions). The projected result is a profit of $100 million.